In a career spanning 50 years, renowned social researcher and public opinion analyst Daniel Yankelovich cared what people thought. Now his focus is on improving how people live. 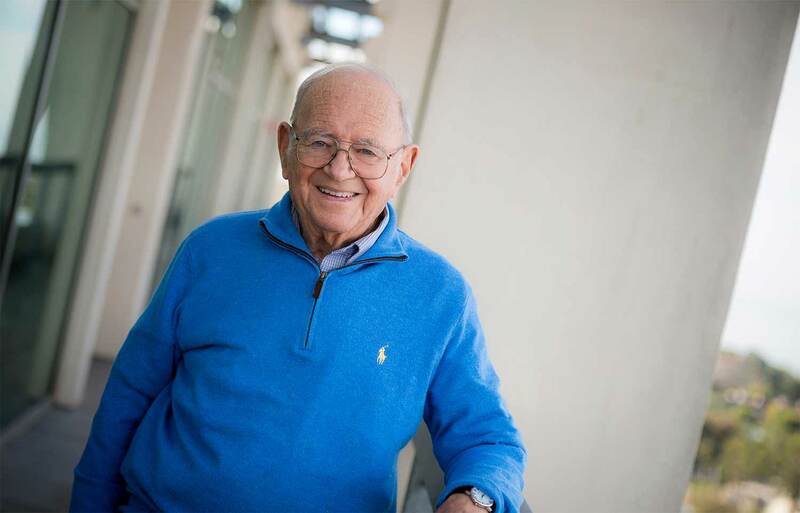 To further that interest, he has established, through a bequest, a multimillion dollar endowed fund to support the UC San Diego Yankelovich Center for Social Science Research. The problem-driven research center in the university’s Division of Social Sciences is proceeding along two related paths. It is originating a research agenda and mobilizing multidisciplinary teams of scholars on key issues, beginning with upward mobility. And it provides seed funding for projects by UC San Diego researchers that show promise of significant national impact. Known as the “dean of American pollsters,” Yankelovich has spent decades monitoring social change and public opinion. Building on an academic career that included Harvard University and the Sorbonne in Paris, he engaged in various interests that eventually led to a commercial research career. Founder of several nonpartisan public policy research organizations, including Public Agenda, he is perhaps best known for starting the New York Times/Yankelovich poll, now replaced by the New York Times/CBS News poll. Yankelovich has served as a member of the UC San Diego Foundation Board of Trustees and a member of the Social Sciences Dean’s Advisory Council. He continues to serve on the executive committee of the Yankelovich Center. Yankelovich has helped fund the center since its inception, including a $100,000 start-up gift last fall to support the center’s current research focus. Lane Kenworthy, director of the center and a sociology professor who holds the Yankelovich Chair in Social Thought, is concentrating efforts on an Upward Mobility Commission to point policymakers to what will work best to restore the nation’s promise of upward mobility. Yankelovich hopes his bequest to support the Yankelovich Center will accomplish two key objectives. First, to develop a model that other universities can follow on how to use the social sciences to address the nation’s most urgent problems. And second, because he feels that the social sciences are being deflected by the misleading model of basic research leading to applied research—with the emphasis on basic—one of his purposes is to blur that distinction to show how applied research leads to theory. To support the work of the center with a financial contribution, please contact the Division of Social Sciences’ philanthropy office at (858) 822-0805 or visit yankelovichcenter.ucsd.edu.